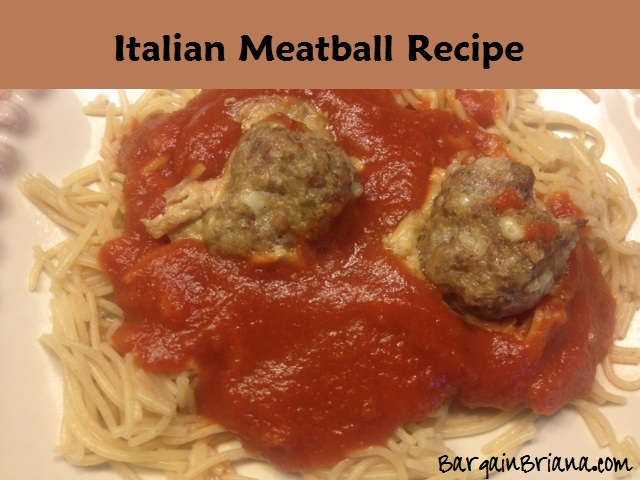 My kids love to eat meatballs – plain, with sauce, in spaghetti, they love it anyway. I found a roll of sausage in the fridge that we needed to use up and as part of the pantry clean up I found Italian bread crumbs that needed to be used up too. These made for the perfect combination for these Italian meatballs. There was only a few left after I made these so I’m assuming they loved them! Just combine all the ingredients in a bowl. Mix well. Shape into meatballs – about 20-24. Cook at 350 degrees for 20 minutes. Serve over pasta and marinara or use for meatball subs! Shape into about 20-25 meatballs.